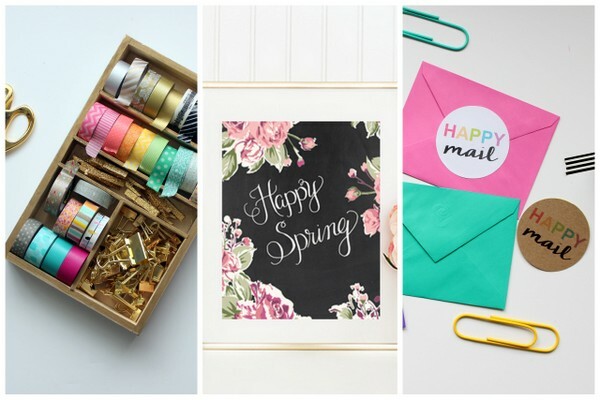 Spring Printables + Tech Pretties! 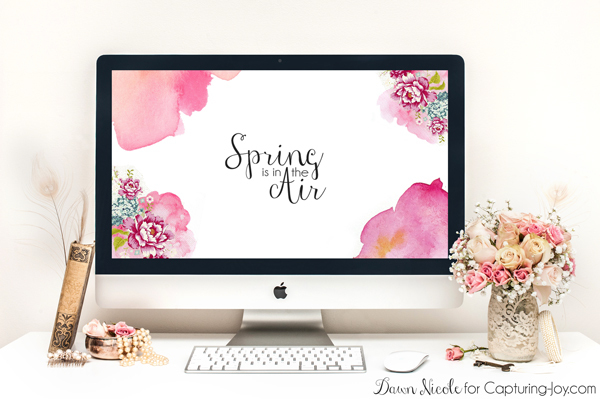 Today, Dawn is sharing Spring Printables + Tech Pretties! 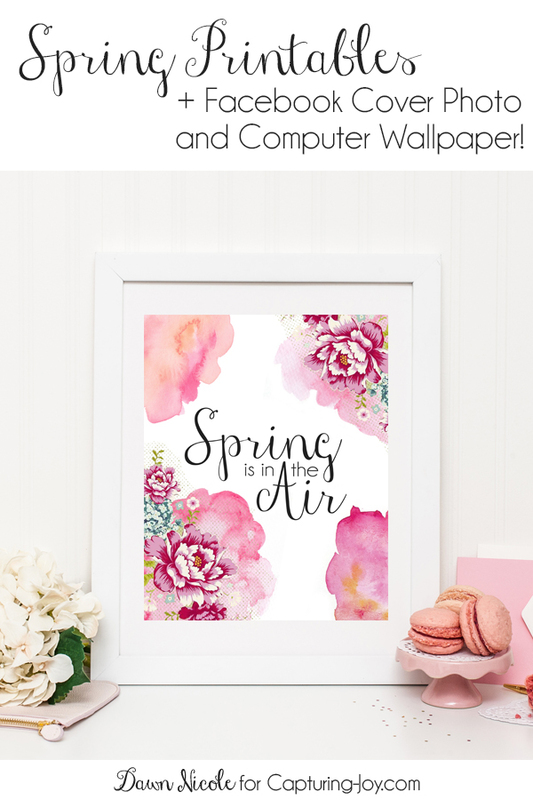 | Two free Spring/Easter Prints + a Facebook Cover Photo and Computer Wall Paper to dress up your tech! Hi Capturing Joy readers! 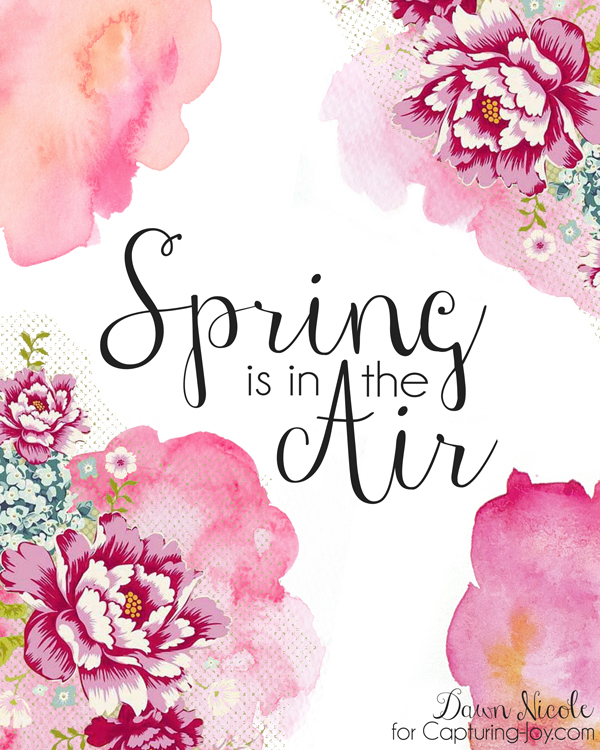 It’s Dawn from Dawn Nicole blog popping over to share some seasonal pretties with you today. 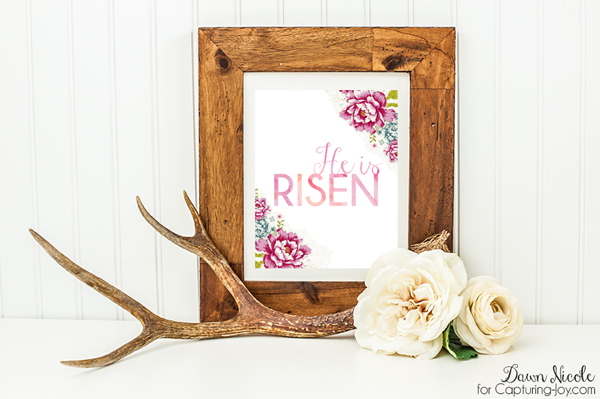 I designed two 8×10 prints, He is Risen and Spring is in the Air, to dress up your home, plus a Facebook Cover Photo and Computer Wallpaper to dress up your tech! If you’re unsure of how to set your computer wallpaper, it’s different for each computer, so a quick Google search for your brand/model should help you out! I’m just a wee bit obsessed with watercolors and florals lately so I mixed them together for this print! 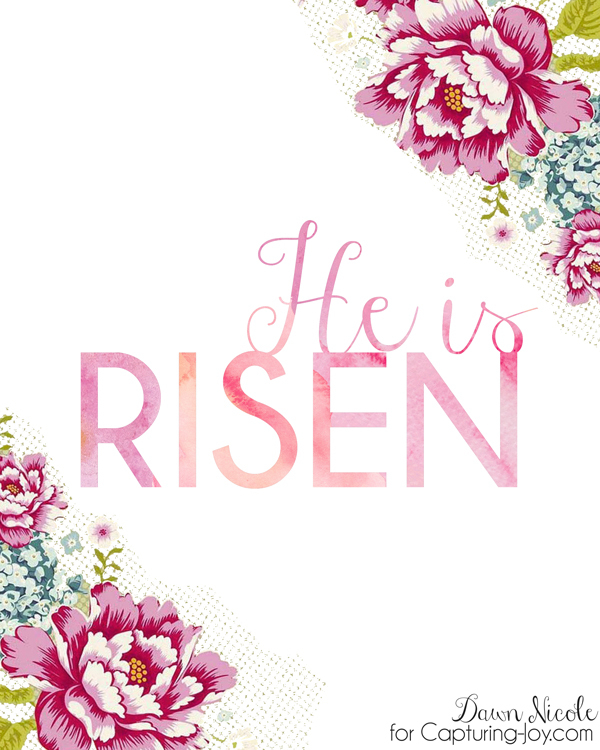 Since it’s almost Easter, I couldn’t leave out a print to celebrate that as well! Here are a few of my recent posts you might enjoy!